What type of warranty does STEPCRAFT offer? STEPCRAFT offers a full two-year warranty on all STEPCRAFT brand products and accessories. What happens if something breaks on my STEPCRAFT CNC? How do I get it fixed? Fortunately there are not a lot of things that will break on the STEPCRAFT CNC, however from time to time, depending on how well you maintain the machine, you might have a part or two wear out and need to be replaced. 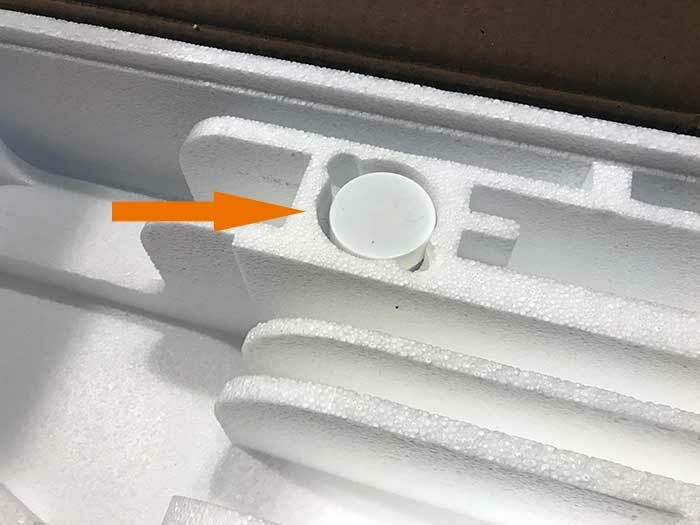 When this happens, simply call or email our support department and they will take care of sending you a replacement part right away. There is a full two year warranty for all STEPCRAFT machines. If you need assistance replacing the part, STEPCRAFT’s support department can walk you through it on the phone, send you a how-to video or arrange a video conference call to help you though the process. In extreme cases, where a customer has a machine that has not been assembled properly and needs support’s direct assistance, you can send it back to STEPCRAFT and the support team will fix/adjust, test, repackage and send back to you. This is a very rare scenario as 99% of the problems can be resolved quickly over the phone. Whenever you open UCCNC, the very first movement you should make with your machine is “Home All”. On a STEPCRAFT, the homing procedure begins with the Z-Axis, then the X-Axis and finally the Y-Axis. Each axis will run towards its limit switch until it engages the switch, then will run the opposite way until the switch disengages. Once all three axis have hit their limit switch, your machine is now ready to travel the full length of each axis! This is known as a reference movement for the machine. Without this reference movement, the machine has no idea where it is along its axis and may not travel the full length back and forth. If your machine is stopping short of the full length of travel and you aren’t noticing any binding, make sure to “Home All” and try running again. One important thing to note is that if any axis ever travels in the opposite direction of its limit switch when homing, check to make sure a limit switch is not engaged somewhere on the machine. All of the limit switches are on the same circuit, so if you tried to home your machine and the Y-Axis limit switch was pressed, the Z-Axis would travel in the OPPOSITE direction. This happens because the machine is going through the stage of homing when it backs away from the switch until it disengages. Because the Y-Axis switch was pressed, the Z-Axis will infinitely try to move away but it will never disengage. My machine is in reset mode and I can not get it to reset, how can I fix this? Make sure that UCCNC is not running in Demo Mode. If UCCNC is running in demo mode, the software will not reset. 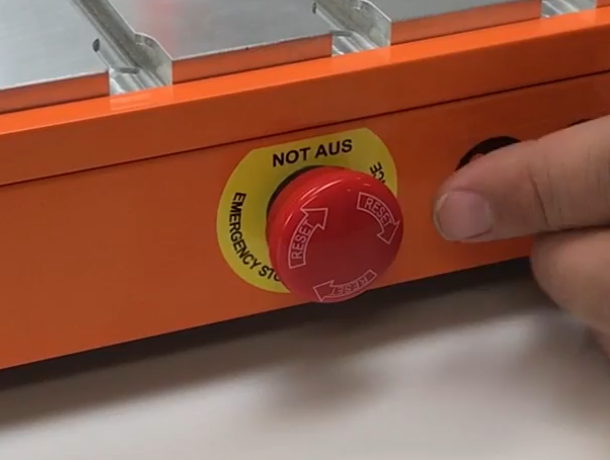 Ensure that the emergency stop button is not press in on the front of the machine. You can disengage it by simply twisting it to the right slightly and it should pop out. If it is already out, then you can move on to #2. Check the Y Axis limit switch wires on the back of the machine. Sometimes these wires can be accidentally knocked out and become disconnected. Be sure both wires are plugged in correctly. How do I tram my Stepcraft? How do I tram my Stepcraft CNC system? The process of tramming your CNC system is an easy, but critical step to getting the most accurate results. By tramming your Z axis, you are insuring that the spindle will not be tilted to one side or the other, creating an unwanted angle to any milled areas. Included below is a short PDF covering the basic procedure of tramming your Stepcraft CNC system. The same concept can be done using a dial indicator or machinist’s square for even greater accuracy. How do I Test a Faulty Stepper Motor? When troubleshooting a faulty stepper motor, it is important to be weary of incorrect or shorted wiring. While inspecting your connections and wires may be required, there is a simple process that can save you some time and effort when testing your system’s steppers. Included below is a short PDF that covers the signs of a damaged or shorting stepper motor, and how to quickly diagnose the issue. How do I connect my Remote Switchable Power Controller? How do I align the Z-Axis? The following video will walk you through a typical Z-Axis Alignment. How do I align my Stepcraft CNC? How come my STEPCRAFT CNC kit did not come with lubricant? Does the STEPCRAFT HF-500 Spindle overheat after long hours of operation? If you have your feeds and speeds correct, then the HF-500 should run for a very long time without overheating. There is an internal air cooling system build into the unit that will keep it running at optimal temperatures. But If you over stress the spindle, you can cause it to run hotter. The key is to ensure that you are not moving the bit through the material too fast and that you are not forcing the bit/spindle to remove too much material per pass. If the spindle is too hot to touch, then you are doing something wrong with your feed rate or depth per pass. You should always be able to touch the spindle and it should feel warm. If you can’t keep your hand on it for more than 15 seconds, then you need to look at your setup to ensure that you do not cause damage to the spindle. Does the machine need to be covered to keep it free from dust in the workshop? No, you do not need to cover it. If you use an Exhaust Adapter or Dust collector, it will greatly minimize the dust that is generated from the tool making contact with the workpiece. STEPCRAFT sells enclosures that you can place the machine inside of which will prevent dust and debris from getting into the room. It will also help reduce the noice of the machine during operation. Regardless, there will always be some dust that gets on the machine when running. Even fine particles of wood dust will get airborne and can stick to the machine. That is why it is important to clean the machine daily and be sure to clean the tracks and lead screws every 20 hours of use and reapply grease. Does STEPCRAFT have an online forum? Do you have any extended warranties available for purchase? Can a bit be resharpened or do you throw them away when they get dull? Yes, end mills can be resharpened, however you need a special sharpening grinder in order to do this properly. Sharpening bits makes more sense with larger diameter end mills that are very expensive. If you are paying to sharpen your bits then it does not make good financial sense to sharpen smaller bits (1/8″, 1/4″ or smaller). The smaller the diameter of the bit, the more difficult it will be to sharpen it as well. Many bits that you will use on a small CNC router are going to cost less than $40 and good quality carbide bits will last you a very long time, especially considering the workloads derived from smaller CNC systems. As an example, if I have a 1/4″ end mill that I have used for a year and paid $29 for it, I would simply throw it away and buy another before I would spend $20 to have it sharpened.